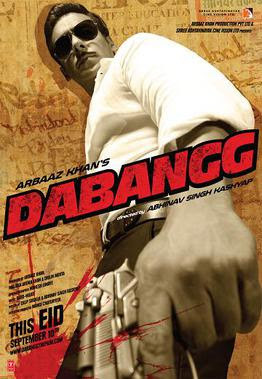 Hello Guys, we sharing some beautiful and funny dialogues of Dabangg movie. This is the action romance movie which is directed by Abhinav Kashyap and produced by Arbaaz Khan under the Arbaaz Khan Productions. Salman Khan and Sonakshi Sinha have played main lead role and others Arbaaz Khan, Sonakshi Sinha, Sonu Sood, Vinod Khanna and Dimple Kapadia played supporting role. Sonu Sood played a villain in movie. Salman Khan has played a funny police officer named Chulbul Pandey. He is very corrupt but fearless police officer. The movie was released in 2010 and it was the highest grossing movie of this year. This is very popular movie. By this movie Sonakshi Sinha had debuted in Bollywood and also got Best film debut award from this movie. The movie has some popular and funny dialogues which are all delivered by Salman Khan and other acrors. Here I have collected some best dialogues of this movie Dabangg. "Hum tum mein itne ched karenge ..Ki confuse ho jaoge ki saans kahan se le ...Aur paadein kahan se"
"There iss always a first time, always a next time"
"Abhi tak sabko nehlayaa hain ... ab sabko dhoungaa"
"Hamara naam hamari personality ko shoba deta hai ... Chulbul Pandey"
"Bharosa bhi hai, himmat bhi hai aur taqat bhi ... aur pagalpan hadh se zyadaa"
"Between two legs itna danda maarengen ... ki na bajne layak rahoge na bajane layak"
"Mote waale uss taraf ... patle waale iss taraf ... aur fit waale mere peeche"
"Kamini se yaad aaya ... Tiwari ji bhabhi ji kaisi hai ? "